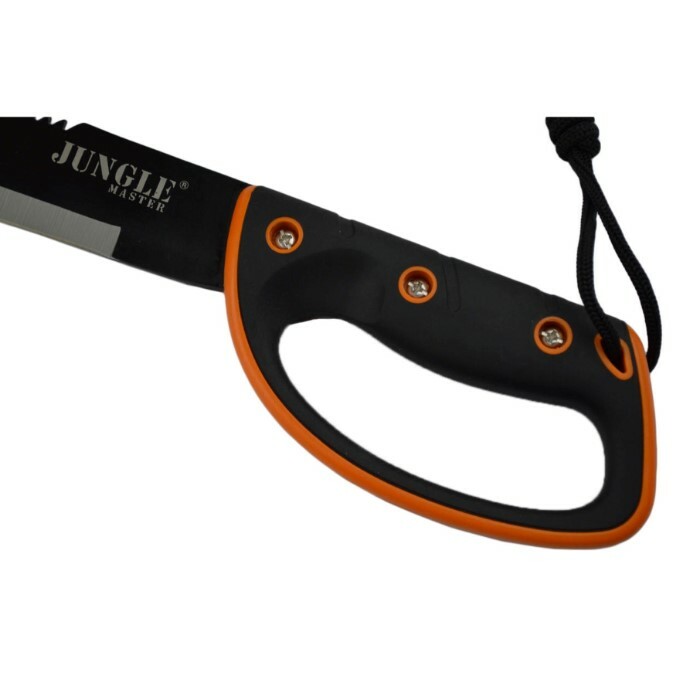 28" SURVIVAL JUNGLE HUNTING MACHETE KNIFE w/ SHEATH Military Fixed Blade Sword | BUDK.com - Knives & Swords At The Lowest Prices! 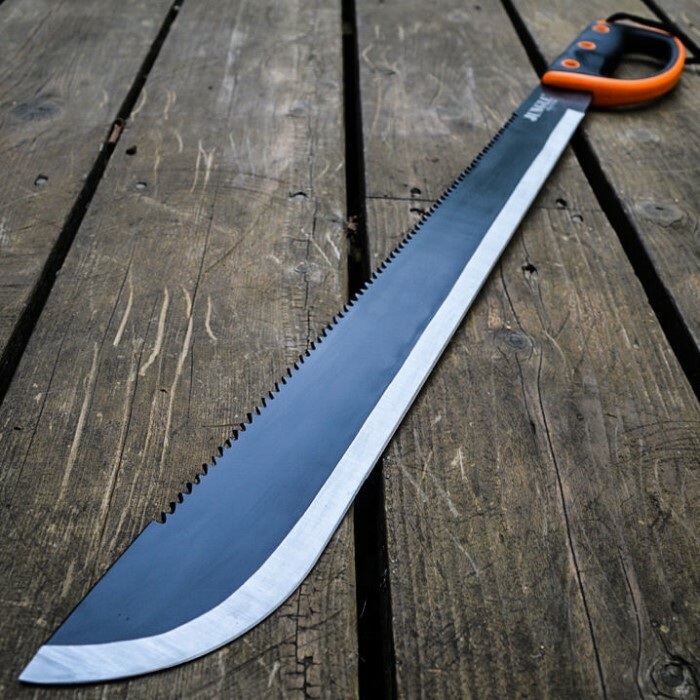 Adventurers will find that this machete is best used to cut down green vegetation. 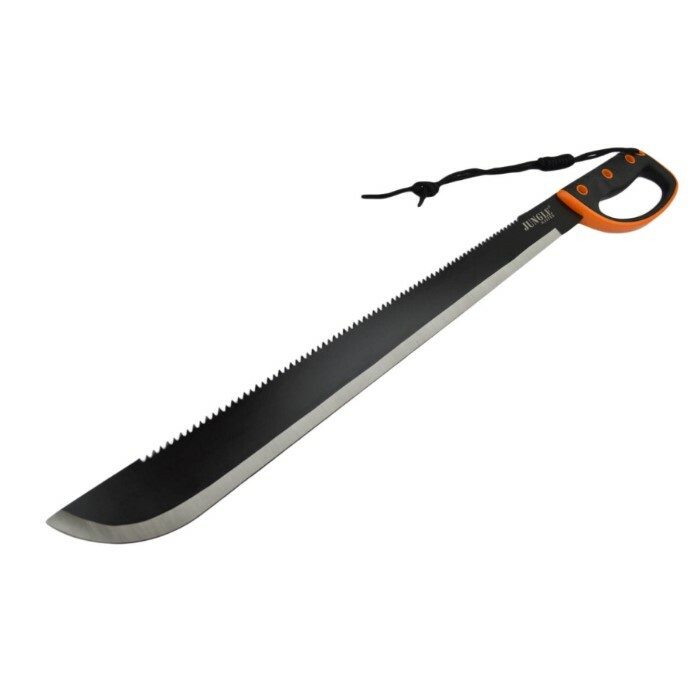 28 inches long with a stainless steel blade will slice through a wide area with ease. 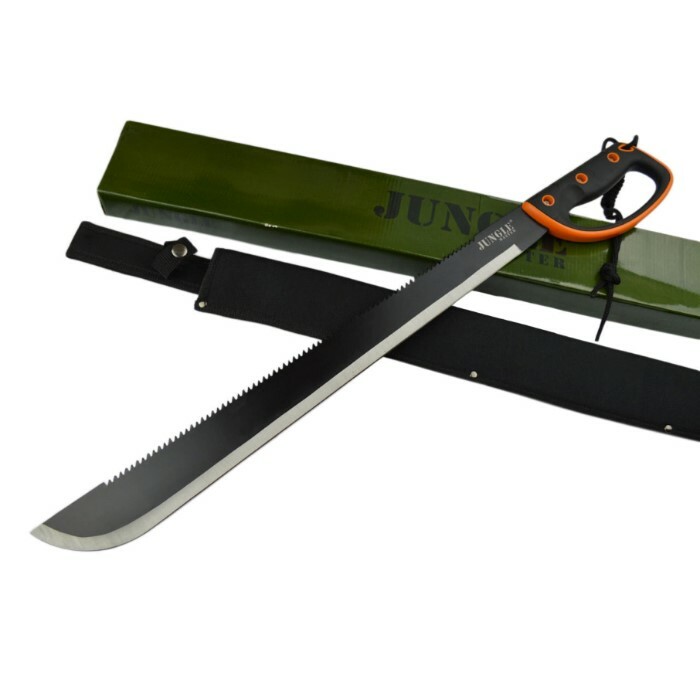 The smooth edge on one side and the jagged edge on the opposite side of the black steel blade can deal with a variety of situations including simple utility problems. Adventurers will be happy with the black and orange handle for a firm grip in the midst of dealing with even the most worrisome situations.